Today I officially launched the Mally the Maker book and the Ms. Bunny Sewing Pattern! It was a very busy day signing books and packing orders with Josh and James. Yep, James was out of school today for teacher conferences. I think the teachers like to schedule a day off after Halloween so they don’t have to deal with tired, sugar fueled kids! Hello My Sketchy Friends! 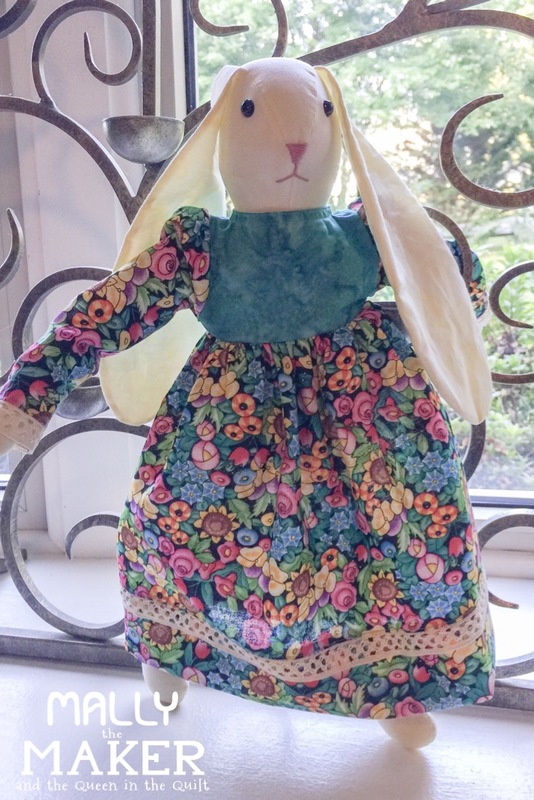 I'm continuing my doll making adventure by sewing dresses and undergarments for Ms. Bunny. Last week I stitched three versions of this doll and finally solidified the design. Now I am focusing on drawing and planning the two dresses described in the book Mally the Maker and the Queen and the Quilt. This is tricky because I'm basing my design on the memory of my Ms. Bunny and the dark pink calico dress she wore. Click here to read that story. Yes, here in NC, we get a lovely delayed Fall, Y’all. The lake near my home is so tranquil. And I got inspired by a huge moon the other night and some red, red trees! So I quickly worked up a quilt top to remember it by. Here I strip pieced some hand dyed grays and lavenders for the background, because I didn’t have a piece that was big enough. Last week, I got to go to San Fransisco- one of my all time favorite cities. This was my third time here, but I haven’t been since 1997! Okay , a quick update on the fundraiser for hurricane aid. After thinking it over, I decided against the auction, and decided instead to make a typical online fundraiser. And all proceeds will go to a family of a good friend. The quilt will be donated to a randomly chosen winner who has donated. Donations start at $10, which just about everyone can afford. At this writing, I can’t help but be moved by the dire situation in Puerto Rico and the US Virgin Islands. Yes, Houston and Florida are still recovering, but at least they have the advantage of being on the mainland. It’s onwards and upwards with the quilting on my new Hawaiian piece. After heat setting the painted areas with a dry iron, I am ready to stitch! First of all I want to congratulate Cathy on completing her beautiful quilt: the wedding present for her son. Just look at that precise stitching! And now on to the painting of Hawaiian Reverie. I guess that is the working title for now. First here is the before picture. The area I will be painting is the mountains on the left. I made a short video to demo the process.